Learn which fall prevention approaches are likely to help for YOUR situation! Have you been worried about falls, for yourself or for an older relative? Do you need help identifying specific fall risk factors that might be important to discuss with your doctor? Identifying your own (or your older parent’s) likely fall risk factors. Different people fall for different reasons. Learn what might be the most likely causes and risk factors for your situation. Identifying medications that increase fall risk. Many medications increase the risk of falls in older people. We’ll review which medications are most likely to increase fall risk, so that you’ll know which of your own medications might be most useful to discuss with your usual doctors. Identifying the fall prevention strategies most likely to help you. Based on the personalized fall risk factors you identify during the workshop, we’ll help you understand which fall prevention strategies are likely to be helpful. We’ll also review the top fall prevention strategies that help most older adults. Developing an action plan. By the end of the workshop, you’ll have developed a next steps action plan, to help you better work with your doctors on developing a fall prevention plan that’s right for you. Note: This is an educational short course, not a medical encounter. This self-study mini course is designed to help you identify issues to discuss with your usual doctors. Registering and participating does not imply or establish a doctor-patient relationship with Dr. Kernisan, and this course cannot be a substitute for a one-on-one medical encounter with a qualified health professional. If you’ve been worried about falls for yourself or an older loved one, don’t miss this unique opportunity to learn from a board-certified geriatrician trained in fall prevention! Q: How exactly do I access the video lessons and worksheets? A: All materials will be available to you online via this website. This short self-study course can be viewed on a desktop computer, a laptop, or even a mobile device. Only those who have purchased the workshop will be able to view the videos and download the workbooks. We strongly recommend that the worksheets be printed out before watching the videos. Q: How long will it take me to go through the course? A: We expect that it will take most people about two hours to go through this self-study course. A: There is no time limit on your access to this self-study course. You will be able to access the materials for as long as Dr. Kernisan maintains the course, which she intends to do for years. Q: Will there be an opportunity to ask Dr. Kernisan questions about fall prevention? A: This is a self-study mini-course. 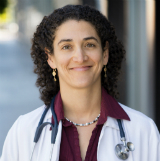 No group Q&A with Dr. Kernisan is included in the course itself, and she is never able to answer individual health questions by email. If you have questions about your fall prevention plan after going through the course, you can post your question as a comment on a Better Health While Aging article, and Dr. Kernisan will respond within a few days. Q: What if I have questions about viewing the lessons or accessing the material? A: Please contact us via email or our contact form if you have any technical difficulties accessing the course. We will make sure those are resolved as quickly as possible. Q: What is the refund policy for this course? A: No refunds are available for this short self-study course. This is an ad-free site and most of our practical information is available for free to the public. Charging a modest non-refundable fee for our short self-study courses helps Dr. Kernisan cover the costs of maintaining the site. Thank you for your understanding regarding this policy. Do you have any other questions about registering for this self-study mini course? Contact us here, we’re happy to help! Yes, I Want to Learn Better Ways to Prevent Falls! Leslie Kernisan, MD MPH, is a board-certified geriatrician who believes it should be easier for older adults to have the best possible health and quality of life as they age. Through Better Health While Aging‘s website and podcast, she provides practical information on how to address many common health problems that affect older adults. She also addresses common concerns and dilemmas related to helping older parents and other aging relatives. Dr. Kernisan completed her internal medicine and geriatrics training at the University of California San Francisco, where she also studied healthcare quality improvement. She is a proud graduate of Case Western Reserve University School of Medicine and Princeton University.